The only God in the Democratic Party other than the god that our enemies worship is the Godzilla sized lies and incompetence that is so apparent every day from the top down. 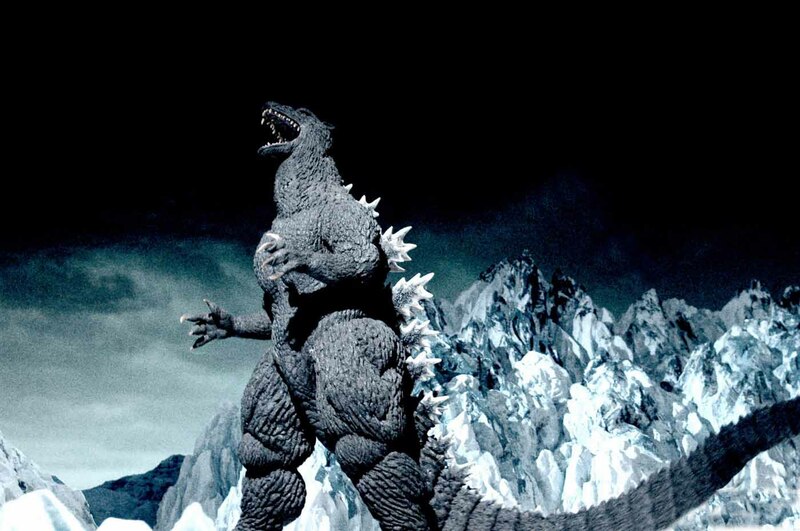 So now we hear about yet another scandal that proves Obama’s Godzilla sized incompetence. The VA has been mismanaged for quite a while. Even before his election in 2008 Obama campaigned on the need to change things at the VA. Well things have really changed since he’s been elected. His administration gives bonuses to those who allow 100s our soldiers to die. And when this is discovered he does nothing more than give the VA director what amounts to a time out! “Obamacare will provide inexpensive healthcare to 30 million Americans that don’t have insurance”. “You can keep your doctor”. “You keep your plan if you like it”. “Your premiums will go down!” All blatant lies known to be untrue at every speech Obama made from his first day in office. The IRS is directed by Obama’s administration to intimidate conservative groups prior to his reelection campaign and when they are found out he goes on television during the Superbowl and smugly lies by declaring there is not a smidgen of corruption. Democrats used to be an honorable party but when I watched their convention in 2012 and saw them indignantly vote to have GOD removed from their platform it became disappointedly obvious that everyone that remained in this decrepit party decided to stay because it truly represents who they are. A godless power-hungry group of fascists that want nothing more but to destroy the Constitution that protects us from the likes of them. The evil we face today is more powerful than in days past. The vile rant of those on the left that Bush and Cheney are war mongers for the sake of oil are so blind to the truth that the facts never seem to matter. Where’s the oil? Then we have feminist liberals wholesale slaughter of babies in the womb for profit and if their murderous spirits can’t kill babies they take their guns to gun free zones and slaughter innocents there. And what is the response from their liberal cohorts? Take away guns from the Godly and Law abiding. Brilliant! When challenged all they can do, going to historical moments, blame a Republican that did something counter to what Conservatives are vocalizing today; in someway using that to justifying their position.. They will never admit they are wrong. All they do is obfuscate divert attention from themselves and blame Bush. Now how ridiculous is that? So if you consider yourself a Democrat because your parents or grandparents were democrat, stop listening to the liberal pundits rant against the Tea Party and Conservatives from the leftist media and spend some time alone considering what is the meaning of right and wrong. Consider what the values are that really matter in your daily world. Then find someone who claims to be affiliated with the Tea Party movement or just claims to be a Conservative and ask them what they value in life. If you are still persuaded that being aligned with the Democrat party is what you want, than you deserve the Godless future of Godzilla sized destruction you get. But if you are moved by the basic values that it appears you both share…welcome to the Godly world of the Conservative movement.